Grammy-nominated pianist and composer Uri Caine uses classical music as a springboard for jazz improvisation. Caine’s collaborations extend from the Beaux Arts Trio to John Zorn, and from the Woody Herman Band to the Moscow Chamber Orchestra. The New York-based musician studied composition with George Crumb and George Rochberg, and is lauded for his albums of improvisations on works by Mozart, Beethoven, Wagner, Mahler and Schumann. 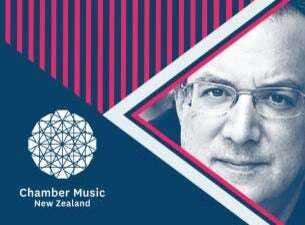 For his Auckland Arts Festival appearance he is joining forces with the New Zealand String Quartet. They are already known for their creative engagement with jazz artists, including the legendary American guitarist Jim Hall and pianist Mike Nock. This dynamic concert will feature two of Uri Caine’s original compositions for piano and string quartet, Jagged Edges and String Theories. Audiences will also be treated to an improvisation on the Allegretto con variazioni of Beethoven's 'Harp' Quartet Op. 74, and a unique take on Bach’s magnificent Goldberg Variations. There will be a pre-concert talk 45 minutes prior to the concert – it is free to attend, and takes place at the concert venue. Adventure, illumination, and pure enjoyment!